The Barstool & Dinette Factory Outlet has been family owned and operated, serving the Sacramento, Roseville, Granite Bay, Rocklin and Penryn areas since 1971. The Wroten and Johnson families established the first furniture showroom devoted entirely to casual dining. Over the years, our business has grown and so have our families. After several children, grandchildren, and even great-grandchildren, we are still going providing great service and quality to everyone in Sacramento, Placer, and nearby counties. We work closely with our children and grandchildren, and hope to see the next generation continue the family tradition. As our company grew, we soon opened our own factory and relocated our main showroom just down the street from the original. We have one of the largest selections in Northern California, which has now come to include pub tables, bars, and game sets as well as barstools and dinette sets. Customer service and satisfaction has always been our top priority. We make sure when you come into our store you speak with an owner, a member of our family — and not a commissioned salesperson. 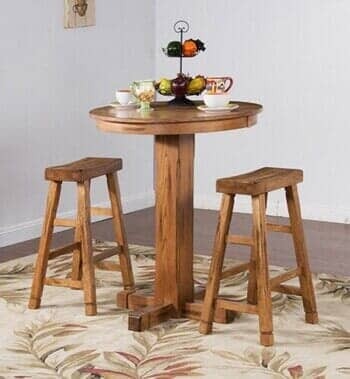 We want you to find the casual dining furniture that is just right for your home, and get a great deal at the same time. Our pricing is consistently the lowest in the area, thanks to our longstanding relationships with manufacturers and the special discounts they offer us. We are able to pass our savings on to you, the customer, and offer a lowest price guarantee! Let our family save you money and help you find the barstools and casual dining furniture you're looking for.